We will contact you with shipping and insurance cost after purchase. 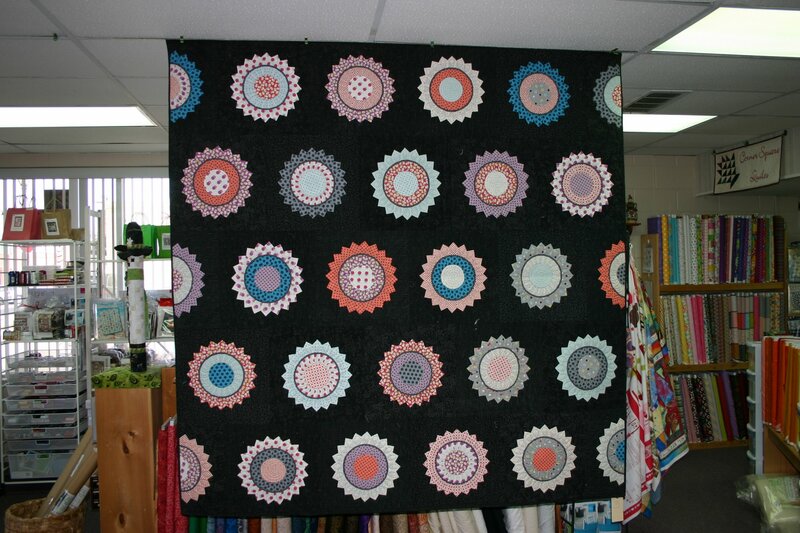 This beautiful quilt is a modern twist of a vintage Dresden Plate pattern. The quilt measures 78" x 80" and is custom quilted to enhance the design.